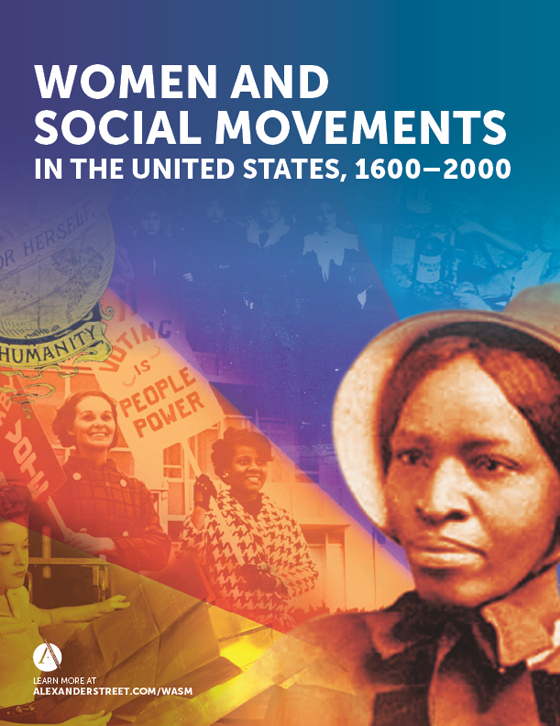 Women and Social Movements in the United States, 1600 to 2000 brings together innovative scholarship, primary documents, books, images, essays, book and Web site reviews, teaching tools, and more. It combines the analytic power of a database with the new scholarly insights of a peer-reviewed journal. Published twice a year since 2004, the database/journal is edited by Kathryn Kish Sklar and Thomas Dublin of the State University of New York at Binghamton, with an editorial board of leading scholars from around the country. Women and Social Movements in the United States, 1600 to 2000 is moving to a new platform (LAZR) in May 2018.